Stephen Lalor previously studied at UNSW (MMus Musicology) and the Tchaikovsky Conservatorium in Kiev where he undertook postgraduate studies in composition with Prof. Gennady Lyashenko, conducting (Y.V. Tarnopolsky) and mandolin/domra (with N.T. Lysenko). His compositions include opera, music theatre, musicals, ballet, film, choral, vocal, theme and instrumental music. This music has been performed by major bodies including Opera Australia, the Melbourne Festival, the Queensland Ballet and Opera House Choral Concerts. It has been recorded and broadcast by the ABC over a period of 30 years. His work sits outside the mainstream of Australian composition, due to his early training outside the Australian academic music system, and his international performing career across classical and world music. A selection of Stephen Lalor's music is published in the USA by Drake Mabry Publishing, and in Europe by Trekel Verlag, Hamburg. Representative pieces are in the collections of the Médiathèque Musicale Mahler (Paris) & the US Library of Congress. In Australia, the Sydney Symphony's Chanterelle String Quartet performs his music in Sydney Symphony chamber concert series and the Opera House Night Lounge concerts. Their recordings of his music are frequently heard on ABC Classic FM. 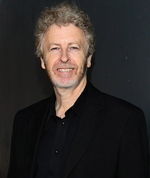 In 2017 the quartet recorded the CD Music of Stephen Lalor, and the Sydney Morning Herald's review characterised the composer as 'a multi-lingual music-maker' whose music is 'moody, folk-flavoured, ranging from powerful, soulful lyricism to the wistful, catchy ride of Flying' (SMH, 10 March 2018). In 2003-04 Stephen Lalor was awarded a Churchill Fellowship to research popular and world music courses in European conservatoriums and universities. Lalor's music reflects a combination of his formal training and extensive experience in all forms of performance and interpretation at international level. In Australia he has collaborated with a range of artists in concert, from the Tawadros and Grigoryan brothers to Taraf de Haidouks and violinist Fiona Ziegler. He has featured on several ABC Classics CDs. A plectrum-instrument specialist, Lalor guests as principal mandolinist with orchestras around the world, featuring as solo mandolinist on CD releases of the Mahler Symphonies and Prokofiev's Romeo and Juliet (SSO/Ashkenazy), Gelmetti's Cantata Della Vita, and several Opera DVD and CD releases e.g. Don Giovanni (OA) and L'Amour Jaloux (Pinchgut Opera). As well as playing with the other Australian orchestras he has also performed and toured with orchestras overseas - notably the Hong Kong Philharmonic, the Singapore Symphony and the Malaysian Philharmonic. Recent tours have been with the Australian Chamber Orchestra in 2016 (London, Copenhagen, Edinburgh Festival, Tanglewood) and the Sydney Symphony Orchestra (Shanghai and Beijing, September 2017). His October 2017 performance (electric guitar) with the SSO in Brett Dean's Fire Music at the Sydney Opera House was acclaimed in Limelight magazine. 2018 sees Stephen performing often with the Singapore Symphony, Malaysian Philharmonic, Sydney Symphony and Opera Australia as well as chamber and Baroque concerts. In 2010 and 2014 he performed a program of his own music at the BDZ Eurofest (Europe's major classical mandolin and guitar festival) as well as conducting the Australis Ensemble at the festival in an acclaimed performance of his own and other music. He has performed his music in recitals from Sydney to Moscow, and at the 2010 & 2014 BDZ festivals he also performed solo sets of his own music, the only Australian to have been invited to do so. As well as films and soundtracks, Stephen Lalor has performed and recorded with Aboriginal groups including the Stiff Gins and the Black Turtles. He is the former Head of Contemporary Performance at the Australian Institute of Music, and was also on the staff of Sydney's Eora Centre for Aboriginal Studies, Visual & Performing Arts in Sydney. Winter collection : three movements for mandolin orchestra (2015) Commissioned by Federation of Australasian Mandolin Ensembles. Atherton Tableland waltz : movement II from The Brisbane Suite for mandolin orchestra (2009) Commissioned by Federation of Australasian Mandolin Ensembles. - Video: Trio "Campanella" by Stephen Lalor.